Applications are hereby invited from suitable qualified persons for admission into the various POGIL College of Health Technology HND, ND and Technician programmes for the 2019/2020 academic year. (5) O’L in English language, Biology, Chemistry, Mathematics, Physics (Not more than two (2) sittings. 3 & 2 years respectively. 5 O’L in English language, Biology, Chemistry, Mathematics, Physics (Not more than two (2) sittings) and National Diploma in Environmental Health by WAHEB for Direct Entry. 5 O’L in English language, Biology, Chemistry, Mathematics, Physics (Not more than two (2) sittings. Three (3) O’L credit in English Language, Mathematics/ Biology/Health Science and two passes in Physics or Chemistry and any other Subject. Minimum of four (4) credits in WASSC/NECO at not more than two sittings in the following Subject: English Language, Mathematics, Physics, and Biology. We are neither affiliated with any institution nor any college affiliated with us. Our Gradates will be mobilized for NYSC scheme after completion of their HND program. 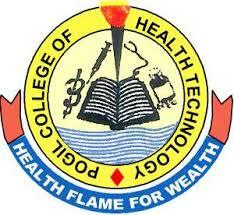 Admission into programmes in POCHTECH is either through JAMB or Direct Entrance Exams. aku bukan pembaca onliine yyg jujur nsmun laman kamu teramat bagus terusman saja!